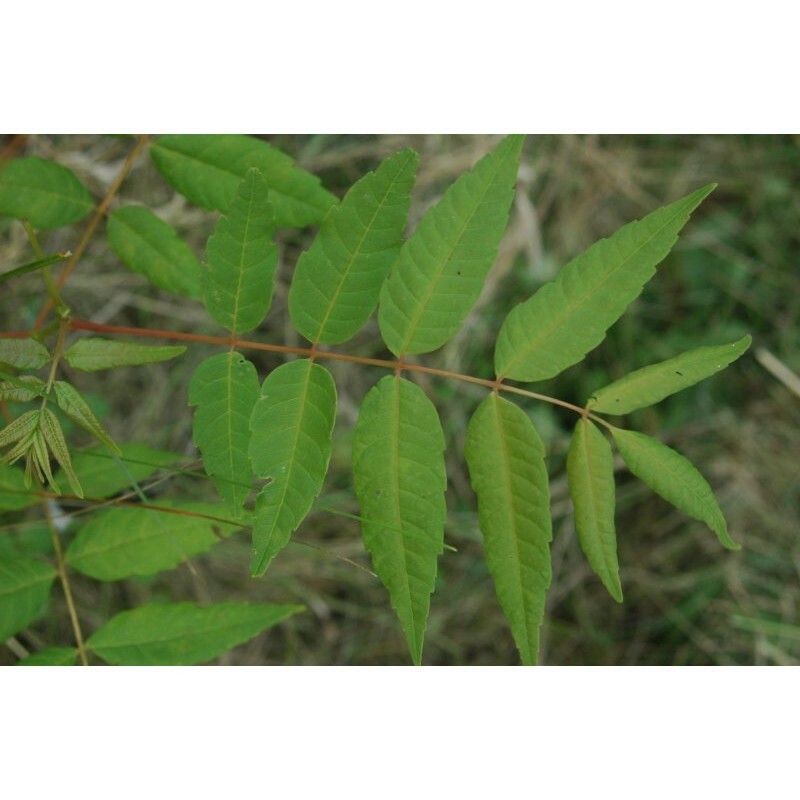 Toona Sinensis, also known as Chinese Mahogany or Chinese toon, is a tree of the Meliaceae family native to eastern Asia where its young leaves are consumed traditionally, while its older leaves are used to make tea. It is characterized by its beautiful brown bark which cracks with time, making its trunk look like certain types of cedar, its precious wood is very appreciated for the manufacture of furniture. 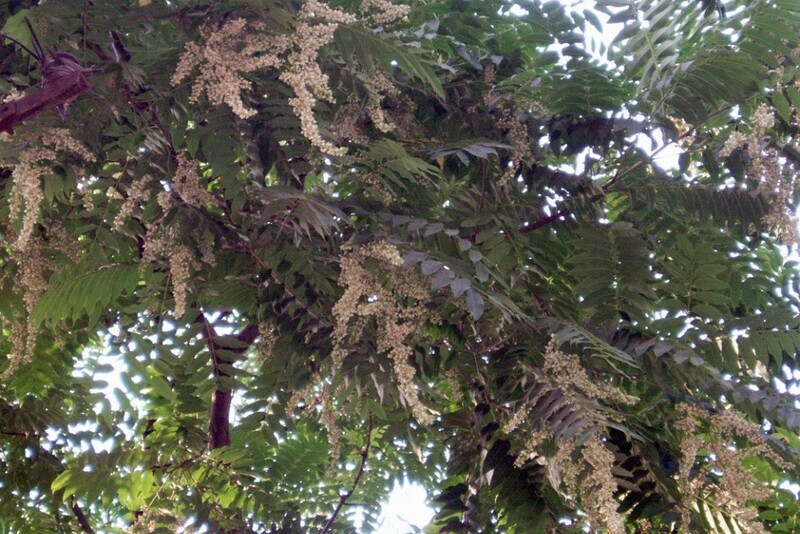 Its flowers (which usually appear in June, during hot summers) are immaculate white and have a pleasant scent. It also gives fruits containing winged seeds. As an adult, the toona sinensis can reach a height of 11 to 15 meters, making this tall tree quite imposing : if it takes, at first, a rather slender shape, it then grows in width, deploying a large ovoid crown. 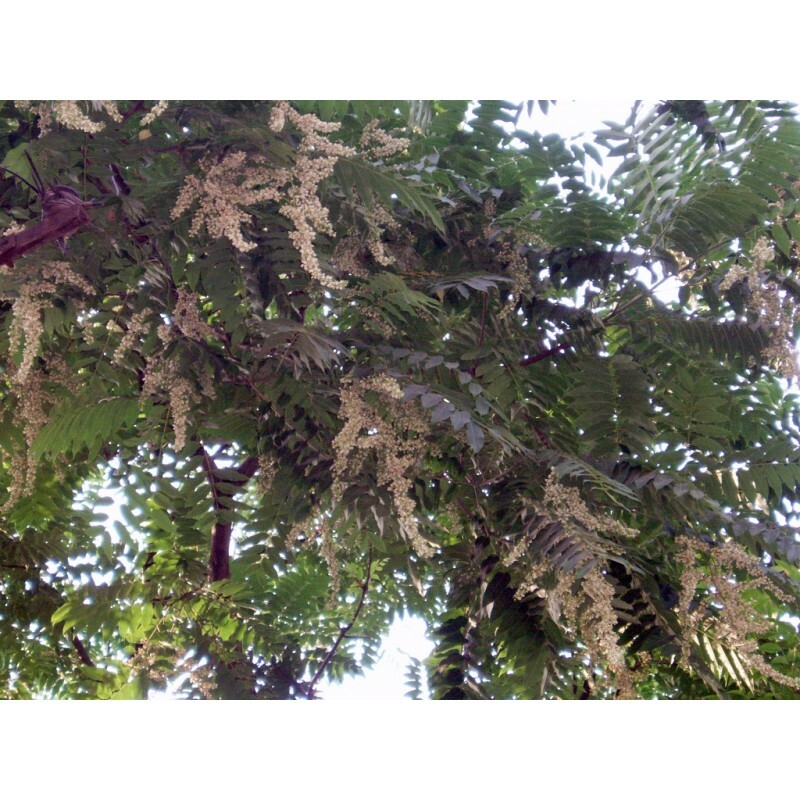 The pinnate compound leaves with many toona leaflets, however, keep a constant length throughout its life, which gives it a real decorative interest from a very young age, they can reach 75 cm long a deep green and shiny at clearer backhand. 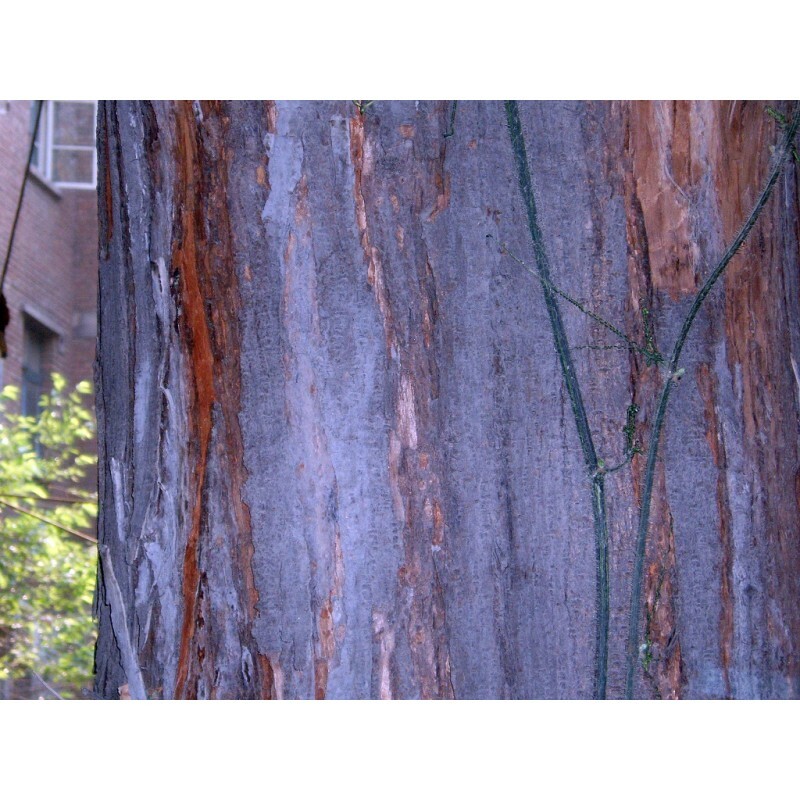 Chinese mahogany is a very hardy tree, which is particularly resistant to cold, since it can survive temperatures reaching -20 ° C. In addition, it supports well the frost and the wind. The toona sinensis grows very fast, requiring a cool soil (and tolerates calcareous soils) and a sunny or semi-shaded exposure.